Attended by Grandma Moses and other members of her family in Eagle Bridge, New York, the Grandma Moses Schoolhouse was moved to the grounds of the Bennington Museum in 1972. Today it houses an interactive family center that explores Grandma Moses’ life and themes used in her paintings. 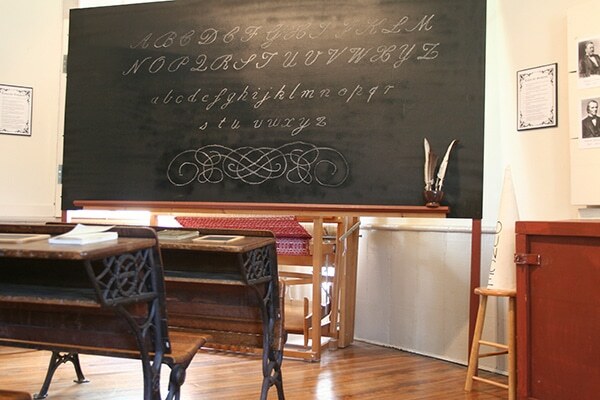 Children can explore a 19th-century schoolhouse setting, a country store, and tea party. Activities include needlecraft, dress-up, antique toys, discovery boxes, and a make-your-own Grandma Moses painting wall.